I have one of these Swedish Grim Game programs in my collection that I loosely translated to English. It gives a nice synopsis of The Grim Game. This went unsold the first time it was offered on eBay. I am glad to see a bid on it. This will make a nice addition to someone’s collection. I have a seen a German Grim Game program that I would love to add to my collection. 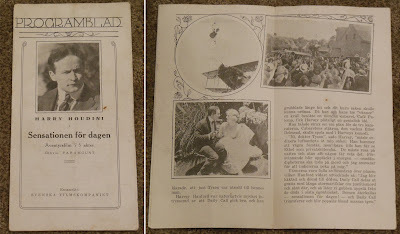 Correction: It was a Danish Grim Game program that I would love to add to my collection.